The car industry is obsessed with cities. You know, big horrible dirty places where the residents are packaged cheek by jowl and everyone has to use public transport because the roads are massively congested - and full of traffic lights, speed bumps, mini-roundabouts, yellow box junctions, traffic wardens, double yellow lines, double red lines and cider-filled mouth-breathers lurching around in the middle of them. Yet manufacturers constantly bring out cars described as 'urban' or for 'young city dwellers'. The most recent case in point is the Renault Captur, which is described as "The Urban Crossover with Renault style." 'Urban' cars are for people who don't actually like cars but just occasionally have to go somewhere the public transport system won't reach. No car manufacturer, as far as I can remember, has brought out a car for "Young Rural Dwellers." Don't mention Land Rover Defenders, which are for farmers, not accountants, postmen or mechanics. Why? There are millions of young rural dwellers. Most love and desire cars. They want to buy a new car yet car manufacturers churn out thousands of shiny little boxes for urban dwellers - and here's the point, a young rural dweller will NEVER buy a car that's been specifically designed for urban dwellers. A village domiciled 20-something wouldn't be seen dead in a Volkswagen Up! He or she would much rather buy a battered old Golf GTi - which has much more credibility. If car manufacturers want to sell new cars to rural types then they've got to make cars for them. Young rural dwellers have a very different set of specifications to their urban counterparts. Let's go through the list. First off we need manual gearboxes, not automatics which are for ponces who don't like driving. It's got to have a decent, petrol (diesel is for tractors, vans, HGVs and Land Rovers), naturally aspirated engine that sounds good. 4 cylinders is OK as long as the exhaust is designed so it makes a decent racket. And no Stop/Start system either. What's the point of having a car that sounds good, if it cuts out whenever you stop? It's got to have 4 seats. Not 5, or 2+2, or 7. 4 means the driver can take his mates out on a Friday night. Any more and the car gets too big, any less and it's not practical. It's got to be a coupe. 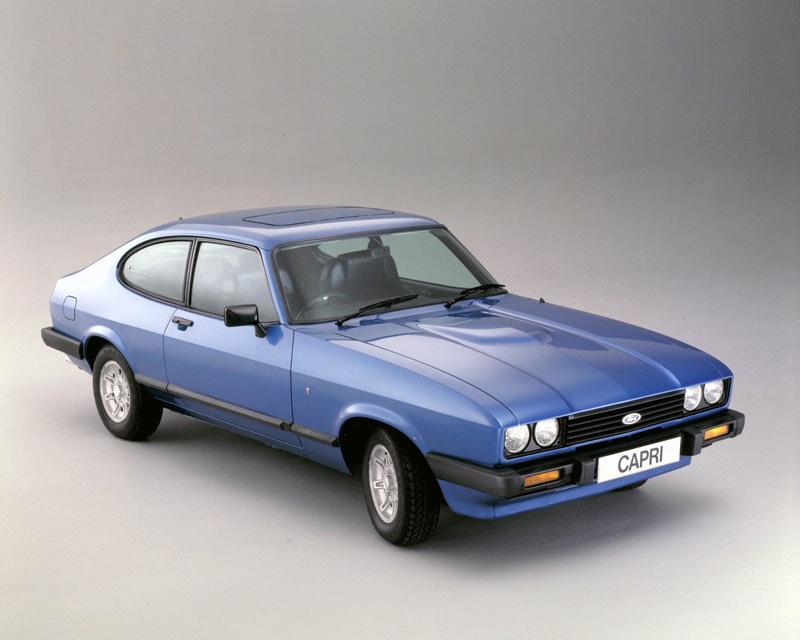 If possible it should look a lot like a Ford Capri (THE car of choice for rural types in the 70s and 80s) with a nice long bonnet and sloping back window. The engine should be under the bonnet - not in the back. And it needs to be a coupe with a hatchback, with a decent boot. You can put your dog in a hatchback boot, but not a saloon boot. Rural shops are few and far between so weekly shops are the norm and you need to fit 10 Sainsburys bags in it. The sound system has to be good so you can impress or annoy your neighbours depending on whether you like them or not. Radio 1 is for stupid people and the target audience is too young for Radio 2 so it needs a DAB radio. The interior must be good looking, but hard wearing and dog proof. No piano black because it shows fingerprints and, besides, it'll be out of fashion in 12 months time. Our rural car will be driven hard. It'll be chucked between the hedges of rural lanes and thrashed down the odd stretch of A-road. The seats must be supportive and the steering sharp. But the suspension must be soft enough to cope with unmade roads and potholes. The wheels must be no larger than 16" or it'll rattle your fillings out, and a spare set of steelies with winter tyres must be supplied. And it must be rear wheel drive or four wheel drive. Front wheel drive is for hatches. This is a coupe so RWD is the norm - and 4WD is desirable but probably too expensive. Finally, the mechanicals must be simple. If something falls off or breaks then the owner, or local mechanic, with a half-decent set of tools should be able to fix or replace anything - without using a computer. At this point you might think the car I'm designing is the Toyota GT86 - but you'd be wrong. That costs £25,000, which is too much. Our rural car needs to be simpler and cheaper. City folk with their fancy second homes and long commutes have pushed rural house prices up, and rural jobs don't pay much. The maximum price must be £15,000. This shouldn't be difficult for someone like Volkswagen, Toyota, Ford, Vauxhall or any other mainstream manufacturer. It just requires some forethought, a designer with common sense, and an ability to understand what the target market wants rather than what you think the market wants. Go to it car manufacturers of the world! Give us your best rural car! Note - parts of this article might be ever so slightly tongue in cheek in order to illustrate the point - but the point is still valid.